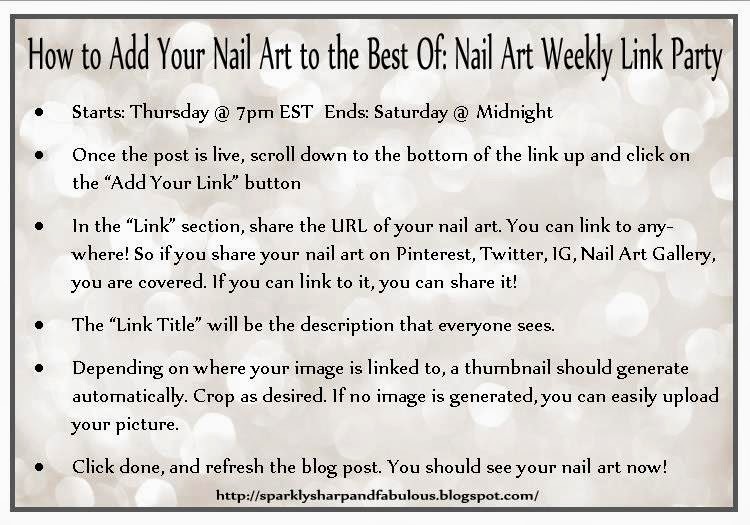 Welcome to the 29th “Best Of: Nail Art” link party of 2014! 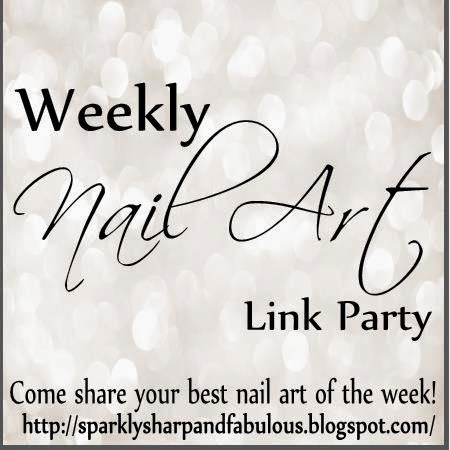 It is my hope that this will be the place you will come to share the posts you are most proud of, and see the creations that other nail artists have shared as well. Ummm….the talent around here is becoming phenomenal! I know! Enough inspiration for a lifetime of manis! Can I link to a post I wrote showing off a vinyl nail wrap that I custom designed for myself or does the nail art have to be done by hand with polish? Hi Jamie, I'm sorry I didn't see this sooner! Hmm, that's a tough one. I'd say because you made it yourself with your own design it would be ok, that's art too right? 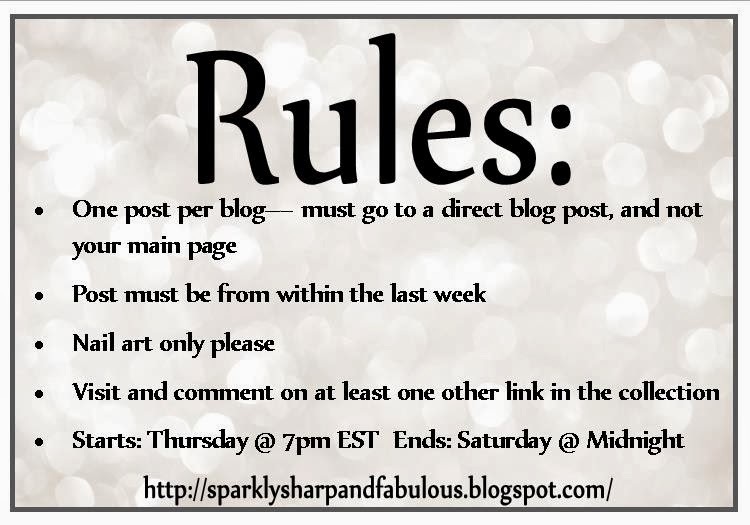 Feel free to share it next week with us!